For the first time in its ten year history, the Millenium Centre in Leasowe, Wirral provided studio space for an artist in residence . 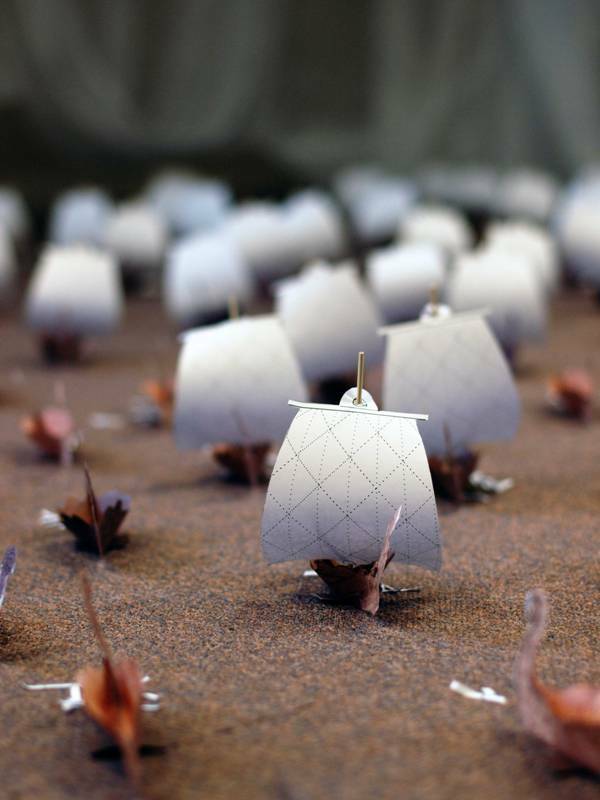 Following the aims of the centre to support the community , I began working with the public hosting workshops and creating artworks that link with the history of the area. After exhibiting in Tromso, Norway earlier last year, I began a series of artworks that were influenced by the Norwegian culture. 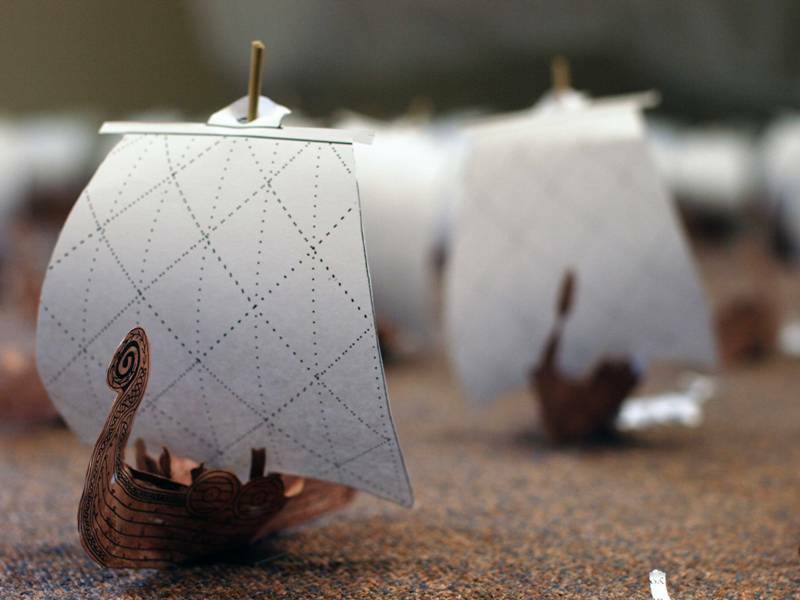 It was during research that I began to find a link between earlier Norwegian settlements – the Vikings, and the area that became eventually known as Leasowe. While running a workshop at the Williamson Art Gallery, I had a chance meeting with a colleague of Leasowe Development Trust’s chief executive Roy Sherriff. I talked about my Norwegian experience and it was from this that the idea of working with the recreation centre came about. We began discussing the possibilities of creating artworks that could involve members of the public, but also link to the surrounding areas. 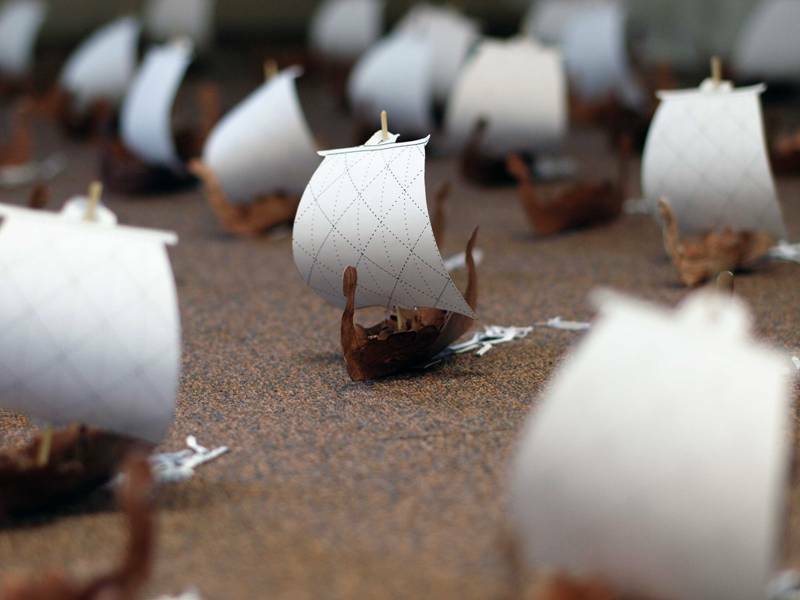 So the project ended up with an installation out of 300 paper Viking longboats. 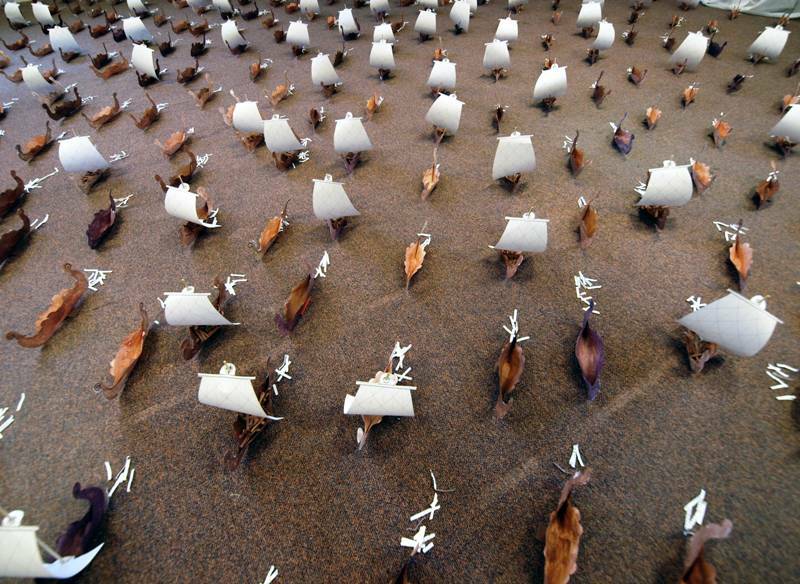 This entry was posted in Paper Art Installation and tagged Art Installation, arts, Paper Boats, Paper Installation by wendy8williams. Bookmark the permalink.